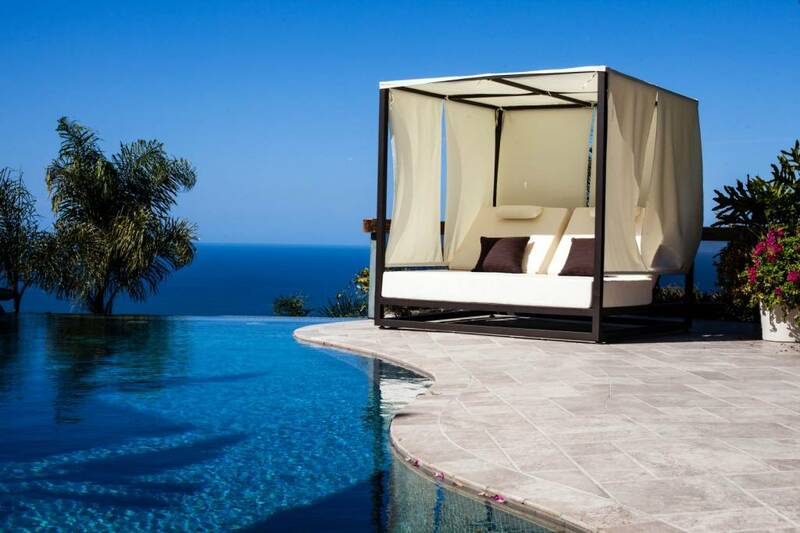 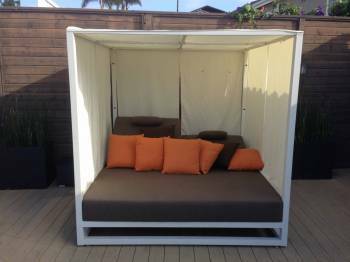 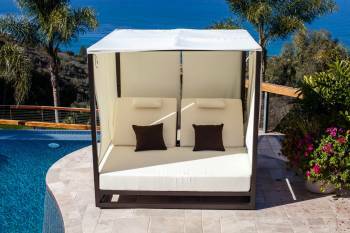 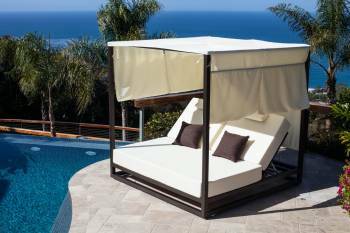 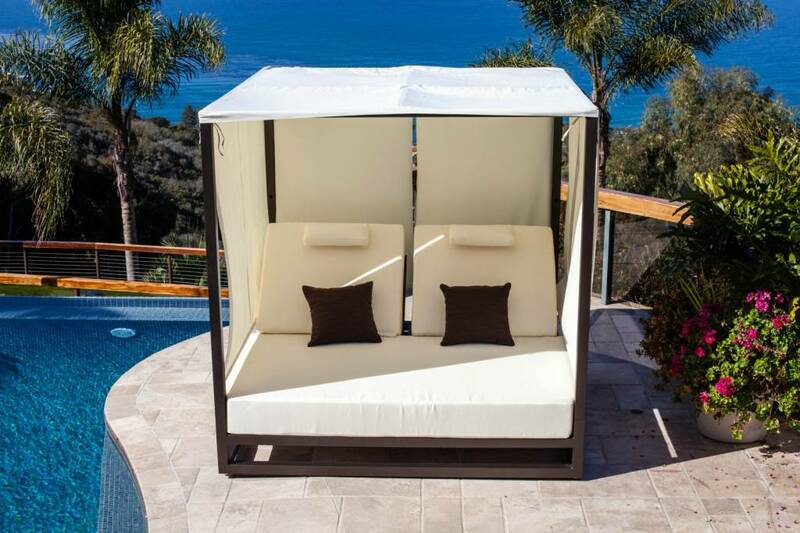 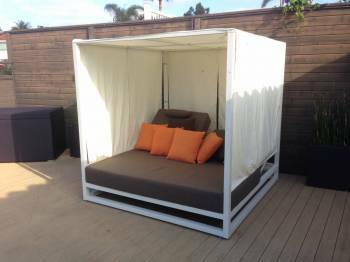 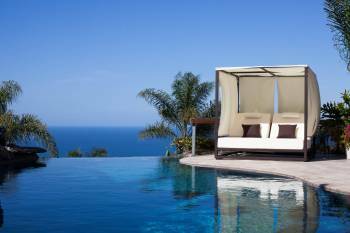 Babmar's exclusive Riviera Daybed comes complete with a canopy that shelters the daybed on three sides to offer shade from the sun as well as privacy. 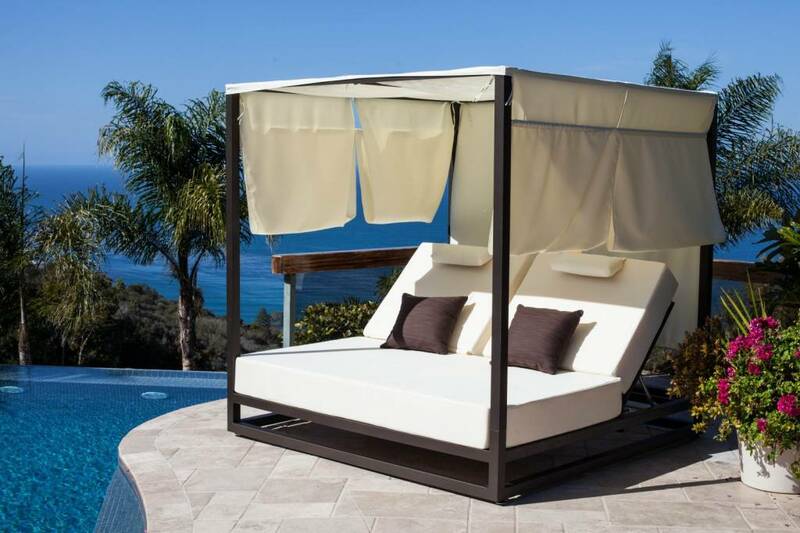 Comprised of quality outdoor fabric, the canopy is adjustable to accommodate different sun angles throughout the day. 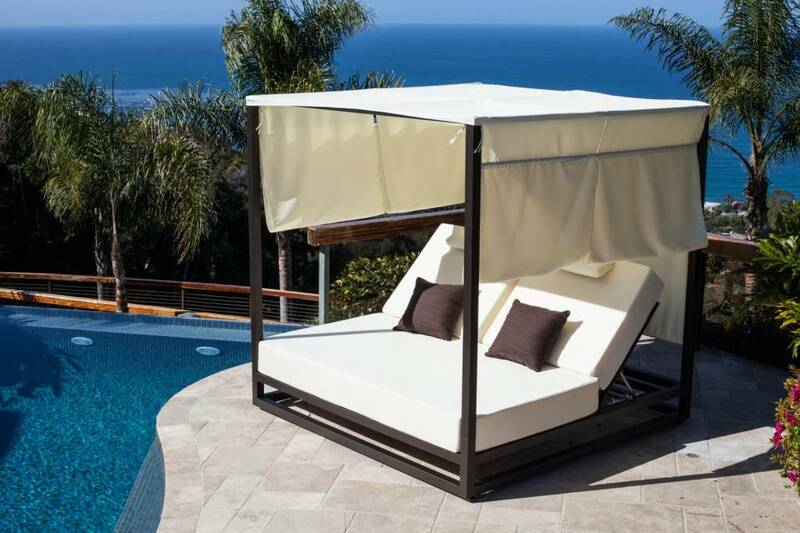 The Riviera outdoor daybed's mattress adjusts to recline at three different angles or to lay completely flat. 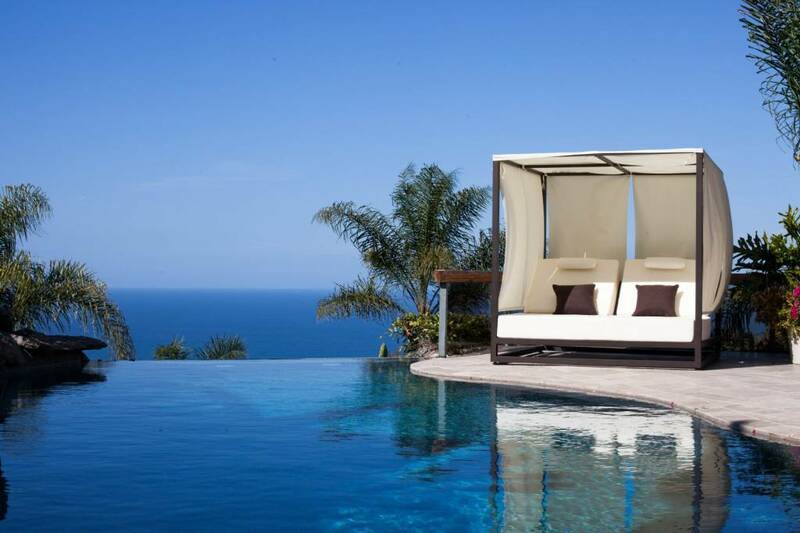 One of Babmar's exclusive and best-selling modern furniture items. Comprised of durable fabric that is all-weather resistant. 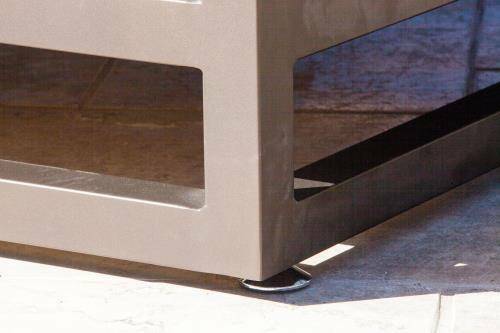 The canopy is adjustable to accommodate various angles through the day. 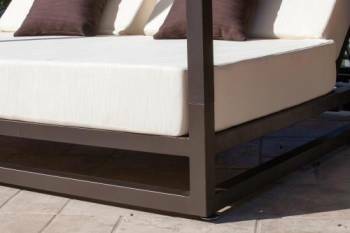 The mattress adjusts to recline at three different positions and can be laid flat. 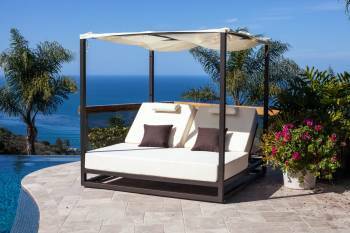 The frames are made of powder-coated aluminum steel to withstand rusting and keep the Riviera looking ageless. 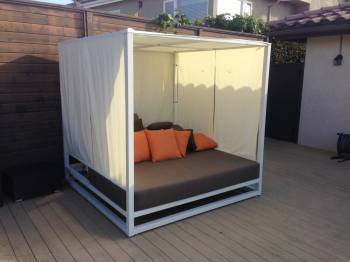 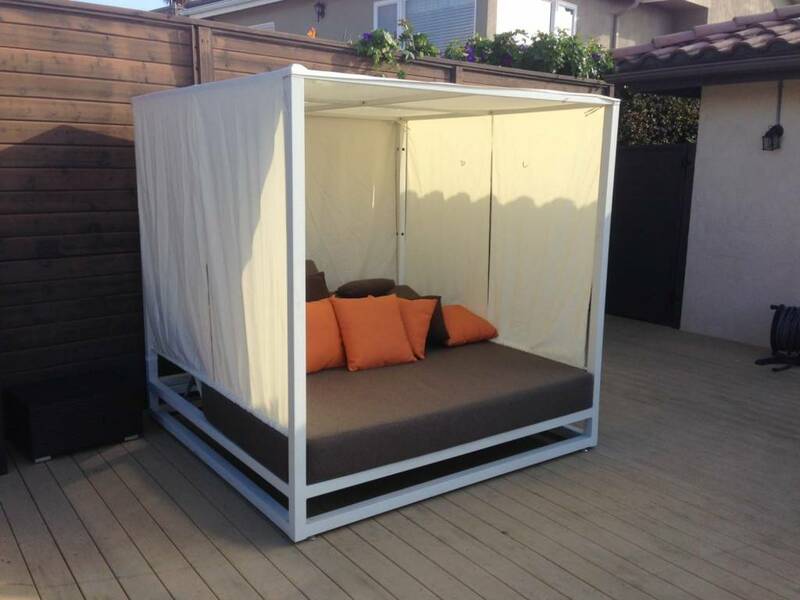 The daybed is detailed with a 6" thick mattress, adjustable canopy, and aluminum footings. 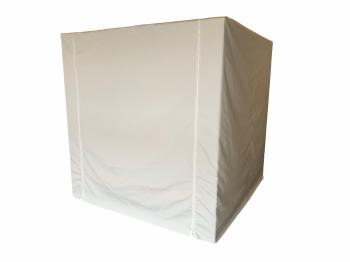 "Customer's Own Material" requirement based on 54” roll: 25 yards, (Canopy is included). 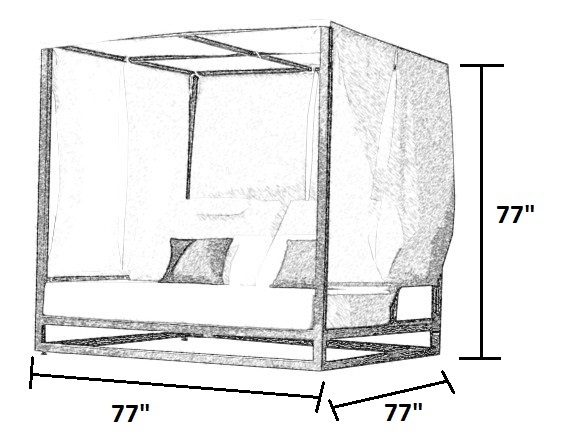 Canopy only: 15 yards.